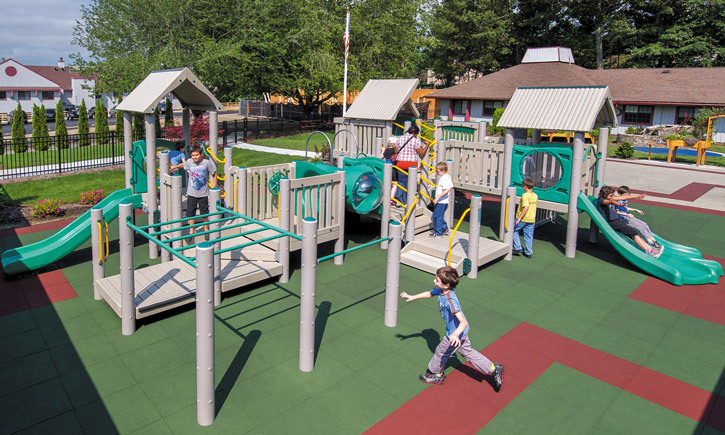 Protecting Your Investment – Artemis International Inc.
Well-maintained playground equipment can help children to develop cognitively, physically, communicatively, socially, and emotionally in a safer environment. Along with helping to promote children’s development, a quality maintenance program has many positive outcomes. Protect your investment: Play equipment, protective surfacing, planning, and site development of a playground are significant investments. It simply makes good economic sense to maintain the equipment to extend its life and protect your school or agency’s investment. Manage risk: Proper, routine, and timely maintenance is a way of managing risks in the community’s play areas, helping to protect them from costly accidents, and demonstrating the community’s standard of care. Improve children’s play experiences: When playground equipment is broken or otherwise unusable, children miss opportunities for play. That moment of connection with others and fun-filled learning might be lost. The better maintained the equipment, the better the chance that a child’s life is improved. Your work could make the difference! Promote community values: Maintained and groomed play environments are a source of pride for the community. Taking good care of the playground equipment and maintaining a beautiful environment is an expression of your community’s values. Control expenses: Timely, preventive routine maintenance procedures help control expenses by reducing upkeep and replacement costs, enabling more accurate budgeting. Did You Know? It has been estimated that at least 33% of playground accidents could be avoided with a planned maintenance program (National Recreation and Park Associations CPSI Course).